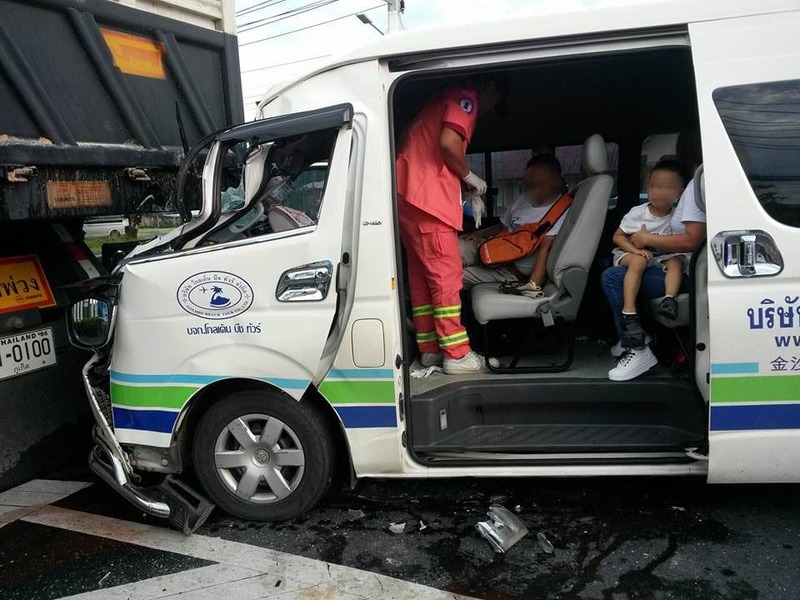 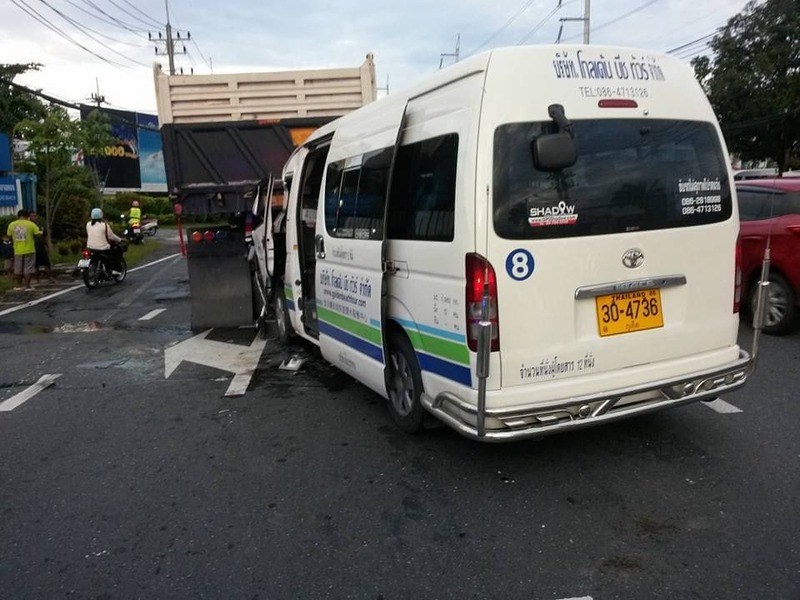 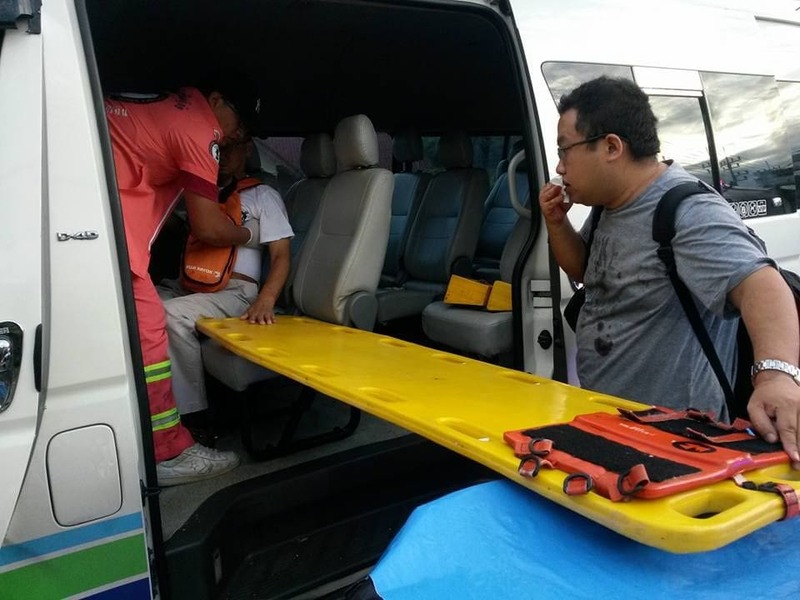 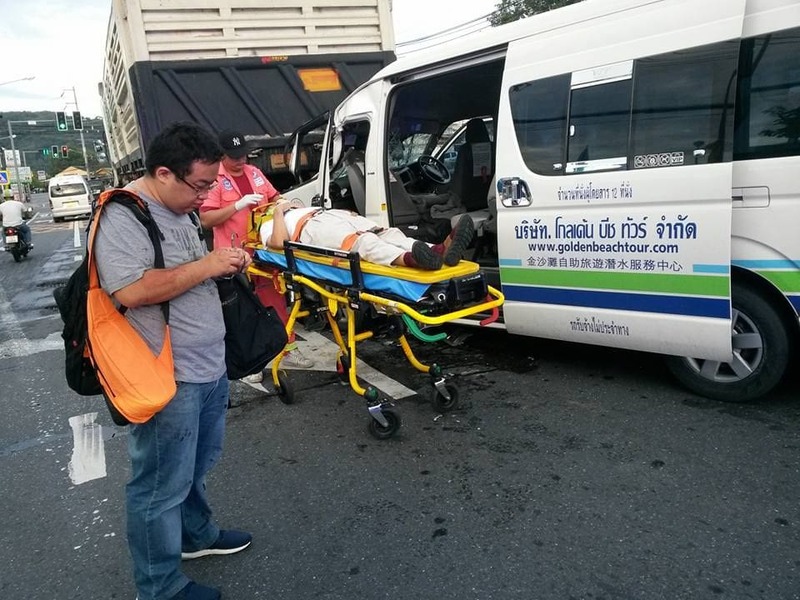 Three Chinese tourists have been injured after a minivan they were travelling in rear-ended an 18 wheeler truck in Chalong today (September 19). 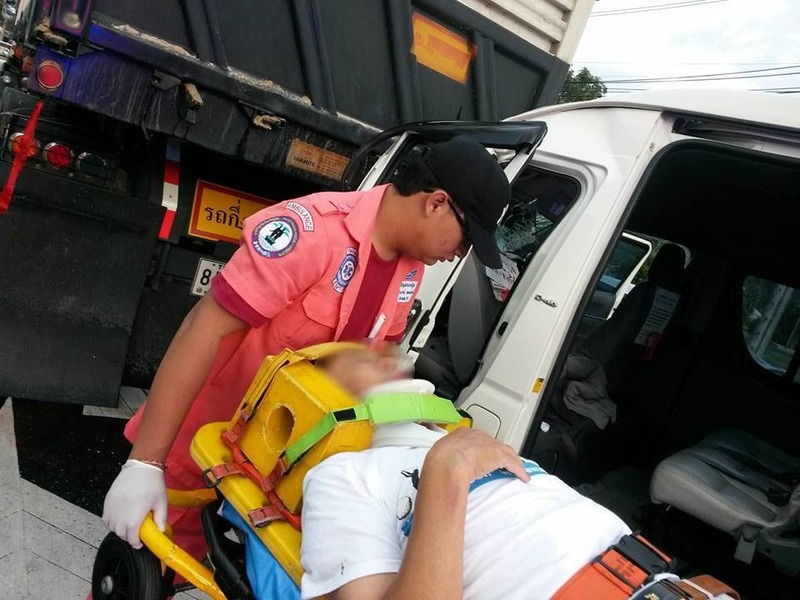 Rescue workers rushed to the scene of the accident on Chao Fa West Road near Nakok Intersection about noon. 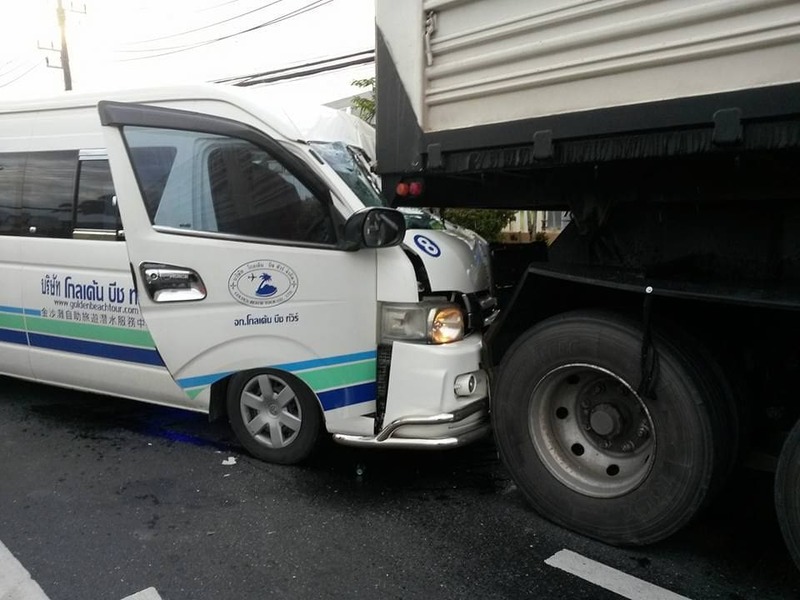 They arrived to find the minivan ploughed into the rear end of the 18 wheeler truck at the traffic lights. 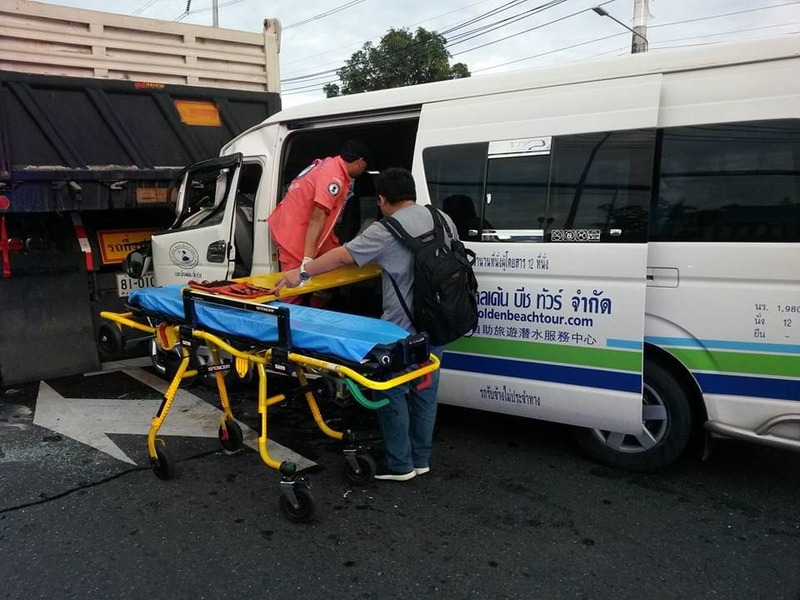 Three Chinese tourists, who were injured in the accident, have been taken to Dibuk Hospital in Wichit. 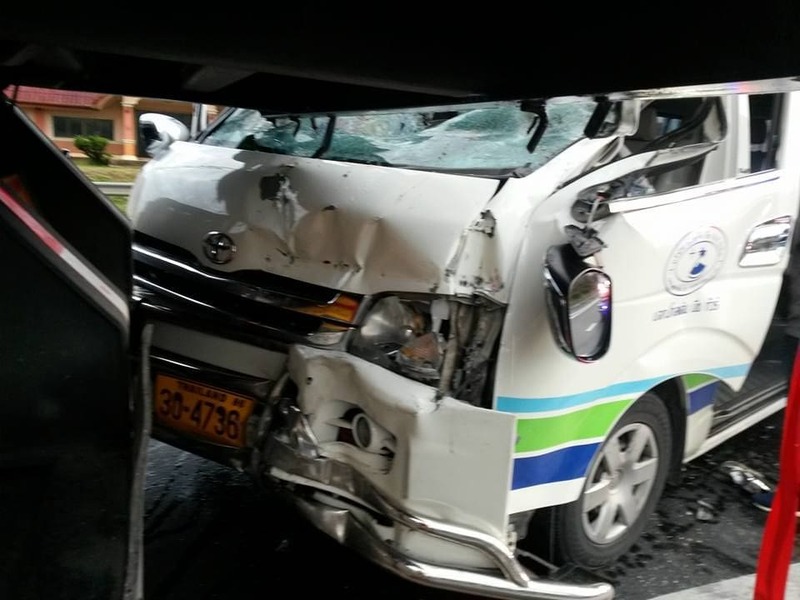 The driver escaped unscathed.